Ujwal received his training in classical music from his mother, Guru Urmila Nagar, a renowned Kathak and Hindustani music exponent. He has also trained under Late Ustad Bashir Ahmad Khan of Sikar, Pandit Sriram Umdekar and Pandit Somnath Mardur. He is a great example of the evolving picture of an Indian classical musician who has enriched his musical pursuit by exploring various other genres of music without compromising on his traditional roots. His ongoing collaborative work with the group ‘Advaita’ as a lead classical singer has been greatly appreciated by classical music connoisseurs as well as world music listeners. Advaita has released two highly acclaimed albums namely ‘Grounded in Space’ and ‘The Silent Sea’. Ujwal has featured in Coke Studio India with Advaita, as well as the MTV Unplugged series and the music television series ‘The Dewarists’. He has performed with leading names including Midival Punditz and Karsh Kale. He has also performed at the President’s House along with musicians and artists from Bangladesh and Pakistan. 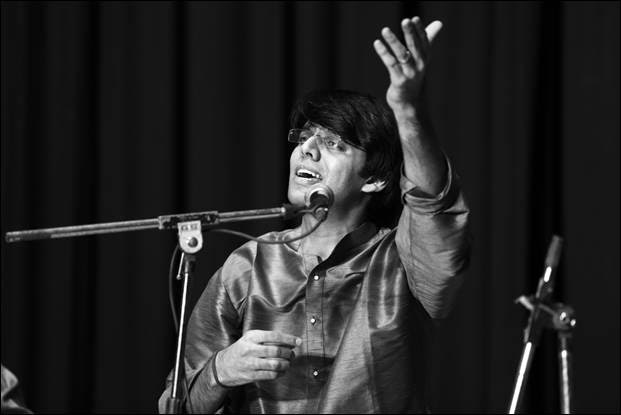 Ujwal has performed at various major cities in India, Thailand, Singapore, South Africa, UK and Europe, and has always been loved by audiences.